Roquefort has always been my favourite cheese as far as I can remember. My father made me tried it when I was only 1 year old. This delicious cheese made of raw sheep milk has always been associated with the excellence of French gastronomy. 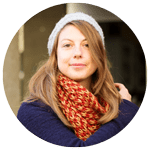 It dates back to the 11th century and is a historical symbol of the Aveyron. You definitely should have a try. 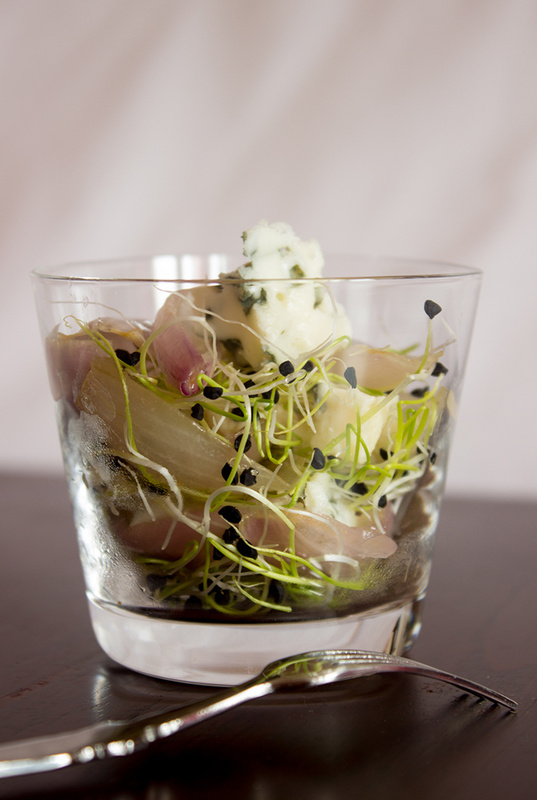 In the following verrine recipe, Roquefort will be associated with caramelized shallots. That was my first time tasting caramelized shallots. I never had try it before. What a shame because it is simply delicious. I was really astonished as I could not imagine it would have a such irresistible taste. As always this verrine recipe takes only few minutes, looks beautiful and taste really good. 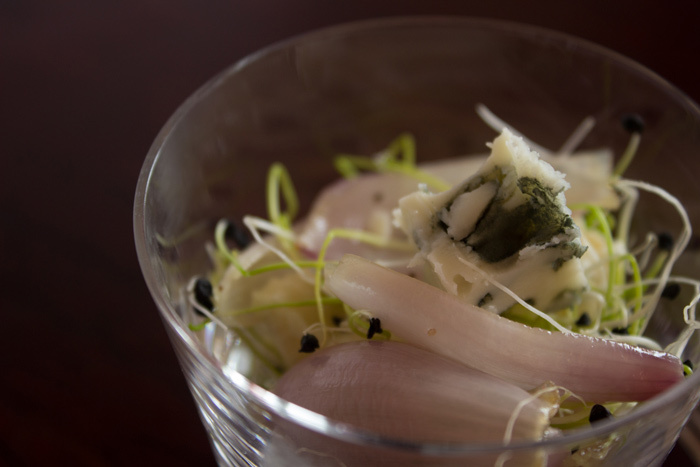 If you like roquefort as much as I do, you might want to have a look to this Roquefort & Walnuts Salad. Melt the butter on a frying pan. Peel and slice the shallots. Roast the sliced shallots with brown sugar on low heat until they caramelise and reserve. 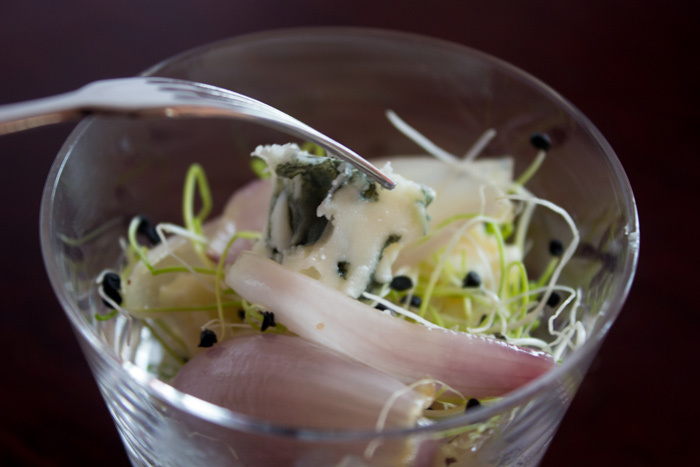 Place first a layer of onion germs then a layer of shallots and finish with a layer of roquefort. Repeat the operation until you have no more ingredients left and fill in all your glasses. You can then place the verrines in your fridge until you serve them. If you want to discover more tasty and colorful verrines, you can visit the verrine recipe index. Roquefort has long been one of my favourite cheeses too but I went to an interesting cheese tasting on Thursday when some Yorkshire blues (from Shepherd’s Purse) were compared with Roquefort. A little different but equally good. Oh, I would love to taste it. Sounds wonderful !